The Little Nonsense is the home of beautiful handmade cards. Each card is made from scratch, which makes the occasion much more personal. Handmade cards are always better than those mass produced ones. By purchasing handmade cards you can also avoid that awkward moment when someone already has been given that card from someone else! 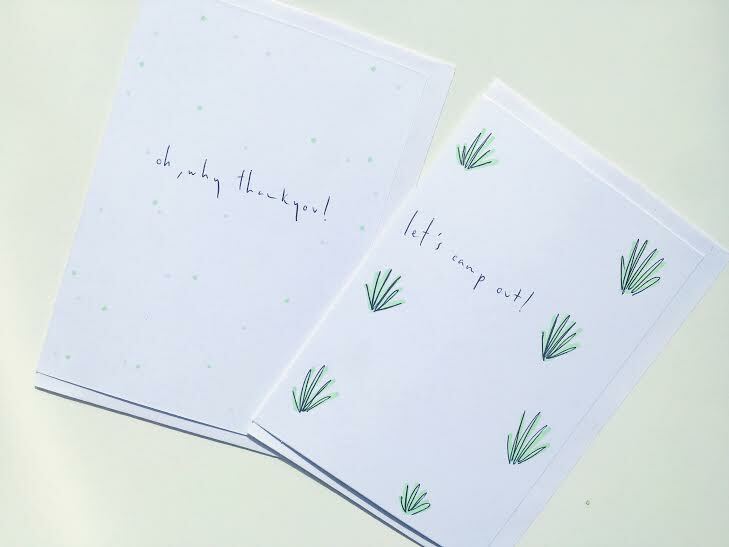 These little cards are also only £2! 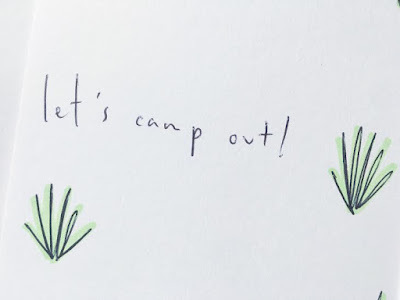 One of the cards says 'let's camp out' surrounded by cute little plants, which seems perfect for summer as it is the perfect weather to go camping! The inside of the card is blank, leaving you plenty of room to write out your message. 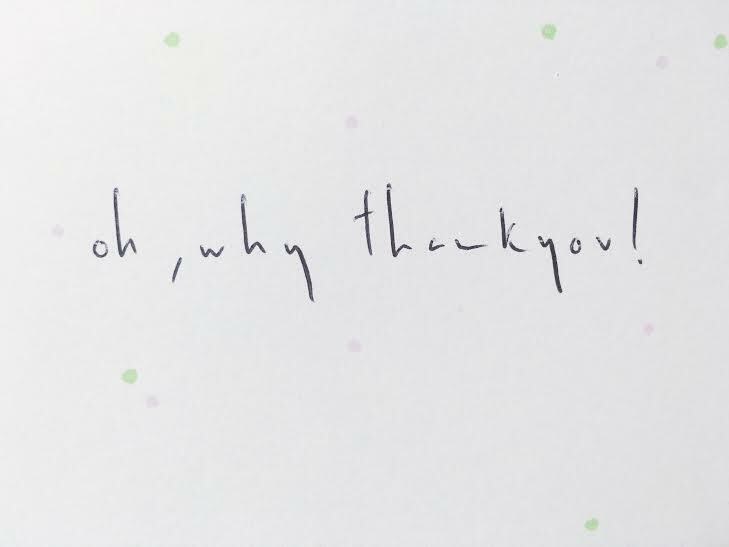 The thank you card features small green and pink dots and is also empty inside. I love the simplicity of these cards, they're the kind you would want to leave out even a month after your birthday. They're very unique, who wouldn't love them? They're a great price too for handmade cards, super cute!